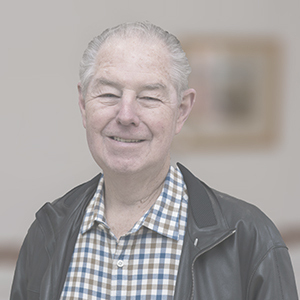 University of New England alumnus and humanitarian, Max Schroder, studied at Armidale Teachers’ College in 1959-60 and gained BA (Honours) and MA degrees from UNE by distance education. Starting his career as a teacher Max then became a lecturer and administrator at one of UNE’s predecessor institutions, the Armidale Teacher’s College (which later became the Armidale College of Advanced Education). His interest in Indigenous issues and education began in the 1960s when he was teaching Aboriginal students in Armidale. He also spent time in Indigenous communities in the Northern Territory. Max was a pioneer of the education export industry in Australia, beginning in 1988 as Academic Registrar of the University of New South Wales, then as the Director of International Programs for UNSW from 1990 to 1996. In 1997, with others, he established Sydney Institute of Business and Technology (SIBT), a private higher education institution, in collaboration with Macquarie University. By 2004, SIBT had grown to more than 3,000 students, supplying the University with up to 80% of its international undergraduates annually. Managed by IBT Education Group, in late 2004 the Group became a public company with Max one of the founding Directors. IBT Education Ltd moved very rapidly to a listing on the Australian Stock Exchange in 2004 and later changed its name to NAVITAS. Max retired from the company soon after. In the years since then Max has been appointed to the NSW Higher Education Advisory Committee, formed to oversee the quality assurance framework for higher education in NSW, was invited to join the Australian Council for Private Education and Training (ACPET) committee as one of the most experienced private education providers in the country, served on the National Board from 2000 –2003 and chaired the ACPET Tuition Assurance Scheme. In 2011, Max was appointed by the NSW Minister for Education to the Pathways Committee, established to examine the range and effectiveness of pathway models linking school, Vocational Education and Training (VET) and higher education, and to increase the number of young people participating in post school education and training. Max’s impressive career in higher education have assured him a reputation as an expert in the sector. With his strong-held belief in education as a mechanism for transforming lives, Max is also highly valued as a generous donor to the University of New England having established a scholarship in 2008 for one Indigenous student to pursue a UNE degree. Thanks to his ongoing and increasing support and generosity the Max Schroder scholarship program has grown to become a broader scholarship program, to date supporting almost 40 scholars pursuing degrees in Education, Nursing, Medicine and Law. In 2016 Max was recognised for his philanthropic work in higher education with a prestigious Business/Higher Education Round Table (B/HERT) award for Outstanding Philanthropic Support for Higher Education. UNE Vice-Chancellor Annabelle Duncan said that Max’s personal support and understanding of the factors facing Indigenous students pursuing further education, has benefited not just his scholarship recipients, but also their families and communities, “We are extremely pleased that our long-standing relationship with Max, and the positive impact he has had on so many students, have culminated in him being nominated and winning such a significant award,” Prof. Duncan said. “It is a wonderful endorsement of our alumni’s ongoing contribution and involvement, above and beyond routine activities, with UNE and we are honoured to have it recognised”.